This tablecloth by Bungalow will dress your table for both a casual lunch with family or dinner with good friends. 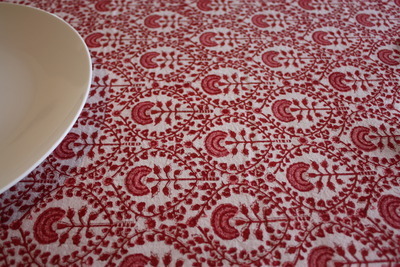 The Bungalow Dahlia Red Tablecloth is the perfect choice for your Christmas Table. Bungalow tablelinen has been designed in Denmark and then block printed by craftsman in India. This tablecloth is 100%cotton.